Oh, yes! Very original and beautiful! And lovely words as well! Perfect! Brilliant photo! The reflection is perfect for the new meme:"weekend reflection"! Have a great weekend! Great photo!I love it!Have a nice weekend! 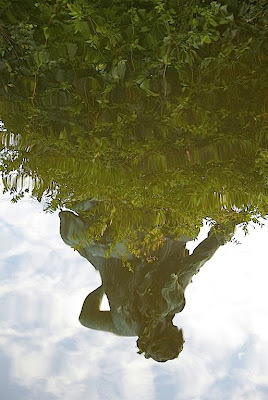 Magical photo -- the god in the water! Re your butternut and shitake pasta dish -- was the squash cooked before you sauteed it? Interesting view of the sky. 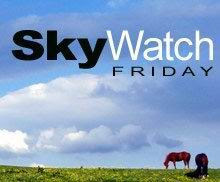 What a great twist on"Sky Watch"! but the ripples of the water! Beautiful reflection of the sky! You have some great shots of your beautiful Vienna. Your city has given the world much beauty in art and music over the years and these visual images are great. Interesting view! The reflections are so clear, I like the unusualness. The Sky Below...indeed. What a lovely idea! Thanks for sharing Merisi.